Cross-play is becoming increasingly popular within video games by the day. Not only does it unite players across multiple platforms, it also has the ability to sustain smaller video game communities for prolonged periods. When Chucklefish’s highly-anticipated turn-based tactical game Wargroove arrives on the Switch eShop on 1st February, Nintendo players will be able to band together with users on Xbox One and PC. Right now, there's no mention of PlayStation 4 users joining in on the fun, when the game does eventually arrive on this platform. 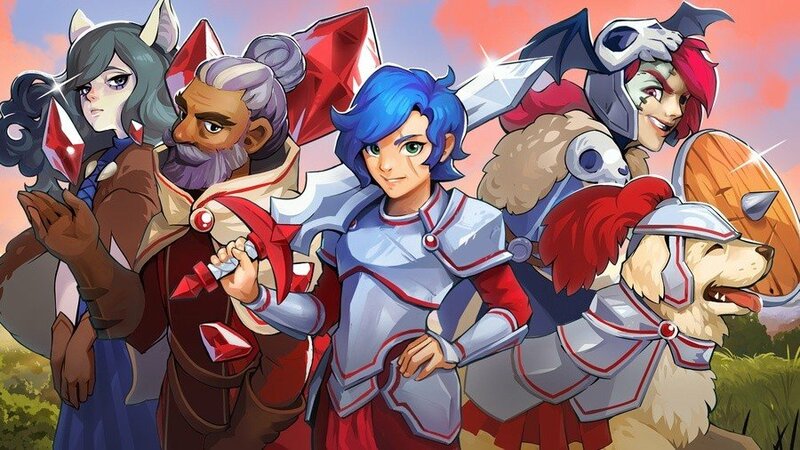 Wargroove’s cross-platform play function means you won’t need friends or family nearby to engage in a medieval multiplayer battles. In total, four players will be able to engage in strategic battles online. If local play is more of your thing, the game supports up to four players in this mode as well. Are you excited for this game inspired by Advance Wars and Fire Emblem? Tell us below. Very nice! I look forward to playing fan campaigns! Seems like a game that'll sell by far the best on the Switch anyway but cross-play is always a good thing. Will give the two people who buy it on Xbox some people to play against. The game is good, just turn off the voice audio. However, it can't compare with AW or FE, it just doesn't have their personalities. The campaign is closer to FE than AW, there's also an arcade and puzzle mode. You can create your own map to share with other players, I haven't tried that yet. @Retupmocnin It's not really trying to compete though, it's actually a loveletter to them, if I'm understanding correctly. Also, AW is basically dead so they win that by default in my eyes. Great news! Should make it easier to find online matches and keep the community alive longer. @Heavyarms55 Do you think crossplay is just for competitive matches, or includes sharing campaigns? That would be awesome! @Retupmocnin You can’t sue someone because they have similar gameplay styles (unless if you created a patent for it and as far as I know Nintendo hasn’t created any for FE and AW), but you can sue someone for copying code, characters, graphics, and names all of which are things protected by copyright and trademark law. @Kalmaro It might as well be. Pretty much every one I know who is excited for this is treating it like a spiritual successor to Advance Wars and not an original game. If Advance Wars was still around, no one would care about this. But since it isn't, people want something to fill the hole. I can't wait for this! Finally, something to pull me away from my SNES Classic. I really wouldn't be surprised if Sony won't do cross play, they're seriously the most anti consumer console maker at the moment. @Retupmocnin As long as it doesn't use their code or assets, it doesn't break copyright. Those other games you're referencing usually flat our use Nintendo's copyrighted names, ripped assets, or even chunks of code. These are all a big no no. That is a lot different than simply being inspired by a series. Also, whether it has a similar niche as another Nintendo game doesn't mean much. If It's on a Nintendo console, Nintendo gets a cut. Nintendo definitely gets a bigger cut, for their first party games, but third party games help fill the library. First party games are not meant to be the sole content on a console, just the main draw. I’ve never been excited to play fan-made campaigns... until this game. Can not wait! Can't quite understand Sony's lack of cross-play. Seems like a fun way to connect more gamers. I bought the game and it's pre-loaded on my Switch. Looking forward to giving it a try. Like Mario Maker, I'll likely play others creations more than create my own. I’m so excited for this game. I’d like to check a few reviews before jumping in (and I’m busy for a few days when it launches anyway). But everything I see & hear is more and more promising. The “love letters” that were shut down used stolen IPs. You can’t copyright gameplay. That would have ridiculous consequences. Most of gaming history has been built on the shoulders of giants, reusing ideas from older games and giving them their own twists. You can patent game mechanics but companies rarely do because you have to be so specific it becomes superfluous. Nintendo has every right to defend its IPs which is why fan projects using Nintendo’s images or names get shut down. But suing over similar gameplay? Yeah, that doesn’t happen. 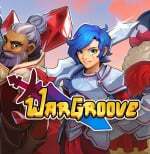 Wargroove isn’t “ripping off their game”. It is just another turn based tactical war game, which Nintendo doesn’t own the rights to. There’s certainly some inspiration drawn, but you’d be crazy to think Nintendo doesn’t do the same. Every game company does that. It’s why entire genres and sub genres exist. Still disappointed this comes out the same week as KH3. I wanted to get this at release but I didn’t expect it to be so close to a must have title for me, and I have very limited money right now. This will have to wait. I really hope I get to it, it looked much better than Tiny Metal. @Kanbei Not sure, but I got the impression that you can share custom made campaigns from reading about the game. It might be limited to custom campaigns made on the same device though. @Retupmocnin What do you mean? This game isn't ripping off anything and it looks very well done. Not sure why Nintendo wouldn't take it. @ReaderRagfihs IFor me this is medieval AW but with more features. Buying day 1 to catch the online playerbase at it's possibly fullest - I'm wondering how long these matches are. You could play out an attrition strategy in AW almost indefinitely. Hoping there's some sort smart, fair measures taken for RQs and disconnects. Okay, I'm definitely getting this now. It looks promising but I'm more interested in local multiplayer and the single player campaign. I have fond memories of my friends and I battling in Advance Wars on TV using the Game Boy Advance adapter thing for the Gamecube (the real name escapes me) and I'd love to have a similar experience with this. Now let us know what punition those rage quitting will get. @Nintendofan83 I think because they have the most consoles sold perhaps Sony believes that by restricting cross play they'll increase PS4 sales futher by leveraging the higher userbase. e.g.Someone buying a new console to play online with their friends on a multi-plat game would have to buy a PS4 to do so if their friend owns a PS4(which is most likely at this point in time between the 3 consoles). Whereas if they didn't restrict cross-play then that same person could buy an Xbox1 and Switch to play wth that friend who owns a PS4.